"Is Dre himself really remorseful or just saving face?" she said. "To me, the answers to these questions matter less than the fact that Dre stepped up and performed his social responsibility by finally taking accountability for his actions. Who cares why he apologized? The point is that he did." The new N.W.A. biopic Straight Outta Compton has dredged up some ugly moments from Dr. Dre's past, as the rap mogul has responded to criticisms that the film omitted incidents in which he was violent towards women. Although the rap mogul has since issued a public apology on Friday (August 21), some of the women he attacked have spoken out to question the sincerity of his apology. I don't really think it's a sincere apology. I didn't ask for a public apology and I think if he is going to apologize he should do it individually. To just group us like we are nothing and nobody — I just don't think it's sincere. Treat us like we have names. He's selling a movie. I just think its good PR at the moment. She also discussed the abuse in harrowing detail, saying, "It was a little different because we were a couple, so of course if he held me after he beat me I took that as a form of love." She said that Dre once attacked her for not making enough food at dinner. She also pointed out that she has frequently talked about Dre's abusive past, and "that's what's so funny about this coming up now." Dee Barnes, the host of the Fox TV show Pump It Up! who Dre attacked after being allegedly portrayed negatively, also addressed the apology. In some tweets posted late last week, Barnes said that she has never received a personal apology from the star, and pointed out that Dre's statement coincided with the biopic's release. She even used quotation marks around the word "apology." @BritniDWrites SISTER you guessed it...You was right! 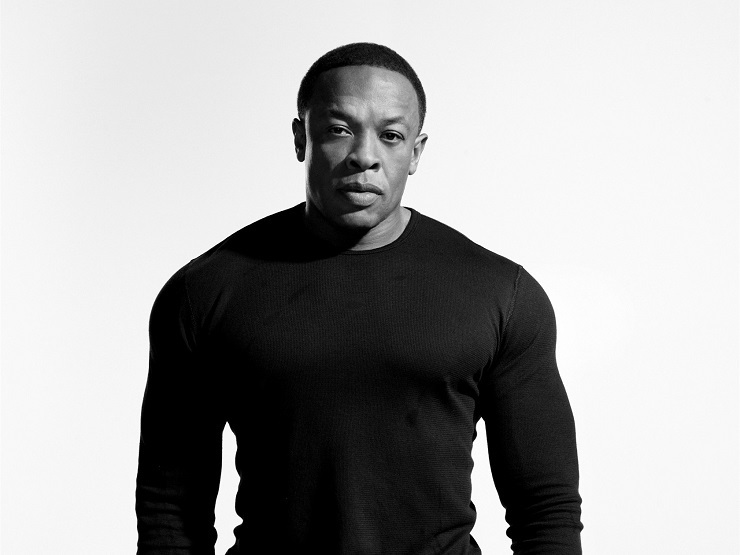 A scene in which Dre attacked Barnes was reportedly cut out of an early draft of Straight Outta Compton. Barnes recently penned a piece about the abuse for Gawker, leading Dr. Dre and Apple to issue statements through the New York Times. UPDATE (8/24, 5:05 EDT) Barnes has responded via a new article for Gawker, which you can read here. He did not, however, specifically admit to any specific physical attacks or mention anyone by name.